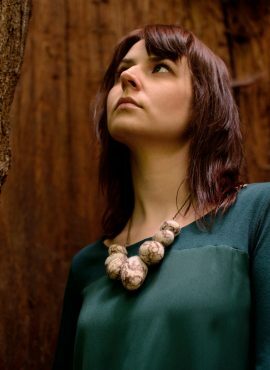 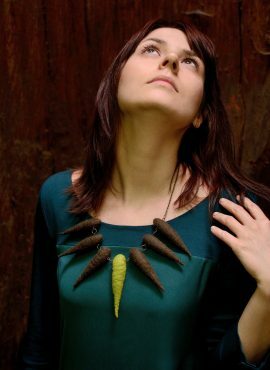 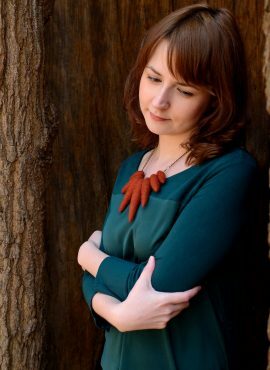 This felt branch necklace is a piece of nature jewelry. 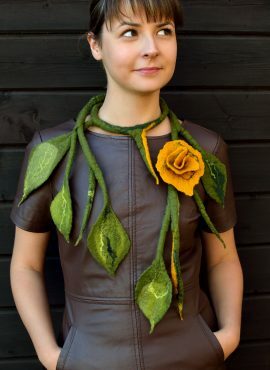 It will turn the urban jungle around you into green forest and give you a woodland style. 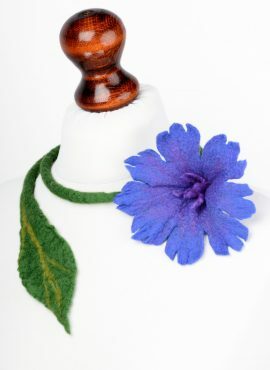 Flower necklace with a blue cornflower that will give your outfit a magic look. 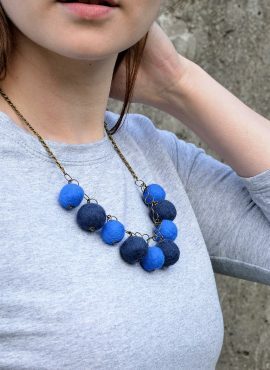 It can be a lovely gift for you or for someone you love. 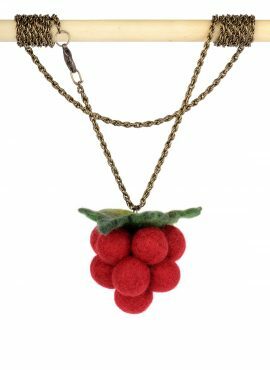 Raspberry pendant in kawaii style inspired by nature. 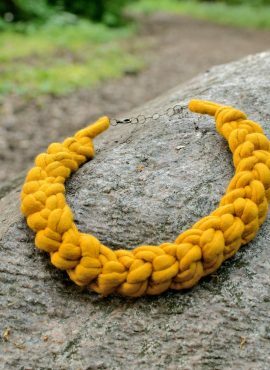 It can be a great jewelry or unique talisman for women of all ages. 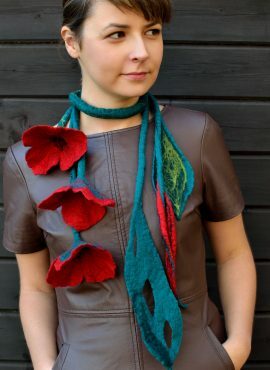 Felted poppy necklace with eye-catching red flowers and natural design. 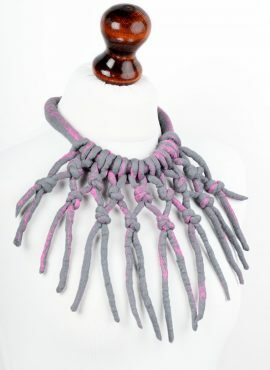 It will fit with spring dresses and winter clothing, giving you romantic look. 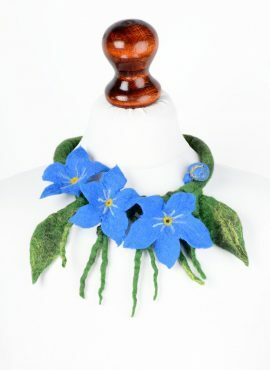 Blue flower necklace with a big felted forget-me-not. 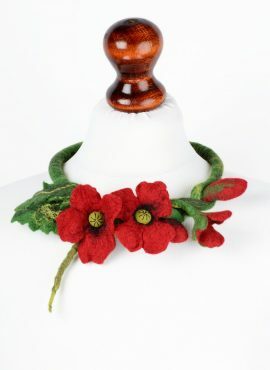 If you are a fan of these lovely meadow flowers, now you can have one of them always with you. 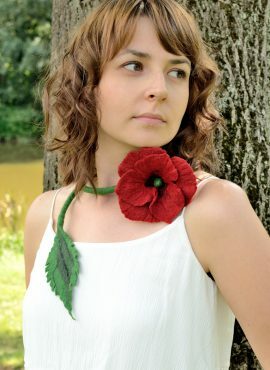 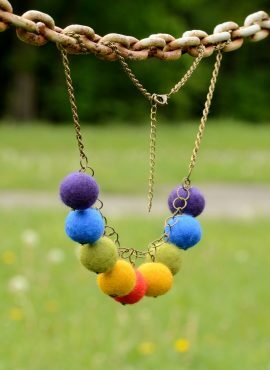 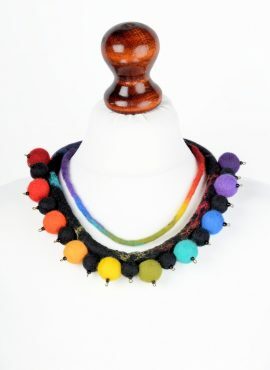 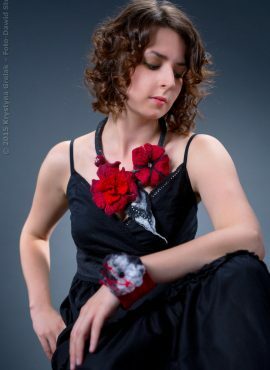 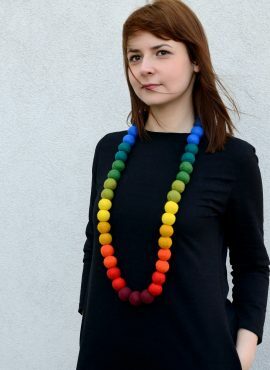 Felt necklace in romantic style with meadow flowers. 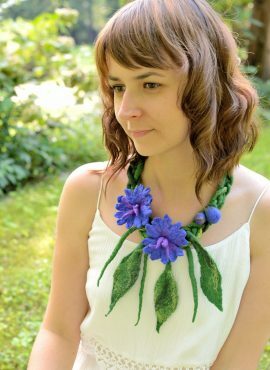 This cornflower necklace is a piece of wearable art. 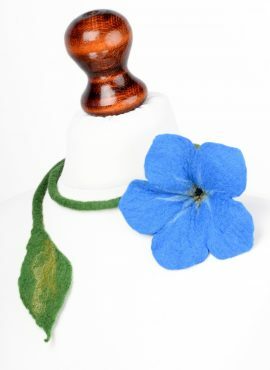 It will make you look blooming all year round.